On our previous post, we discussed about the introduction of Paypal Internet Banking into Nigeria and how you can also activate your paypal account for online banking and also how to link it to your Nigeria Bank account, like the GT-Bank (Recommended). I know that most you would be enjoying their service by now. Recently, we gathered another information about GT-Bank. They've now introduced the fastest means of recharging mobile lines. Now you can simply recharge upto #5K directly from your GT-Bank account to your mobile lines. 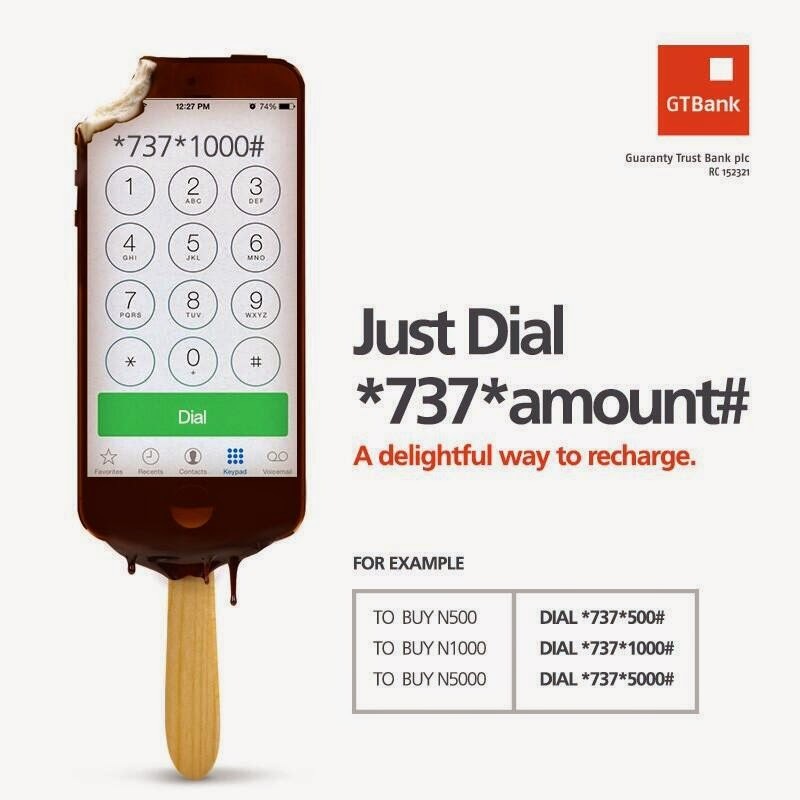 To opt for this service, simply dial *737*amount#. This service is only avaliable to Airtel, MTN and Etisalat Network providers, and GT-Bank account operates on #0.0 account balance and it can also be used for paypal Account verification. Hope this GT-Bank Latest development would be of great service to you. Are you a new or regular visitor on this blog, I'd advice you to like our page on facebook Here or join our daily email readers to get updated. To join simply Click Here.